Group P decided to do Battery Testing as the second advance research and development focus. The performance of the AEV relies heavily on the battery. At fully charged, the Lithium Polymer battery is rated at 7.4 V. The objectives of this lab includes the performance of multiple test runs of the AEV in an environment with constant variables. 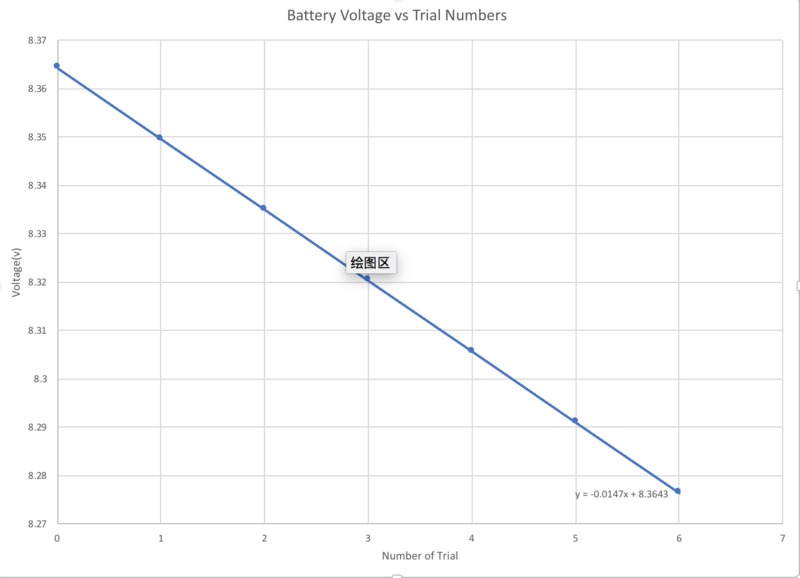 Then after, determining the relationship between the number of trials and the battery voltage; also, determine if there is even a relationship between the battery voltage and the distance traveled. Though we did not alternate the code to analyze how commands affect battery voltage, the group did analyze variance between batteries. The takeaways and the new approaches to the MCR are described below. During our battery testing advanced research and development stage, two separate batteries underwent six identical trial runs in order to discover how voltage is affected the more the battery is used. The first battery had an initial voltage of 8.3643 and a final voltage of 8.2764 after the trials were conducted. The change in voltage was usually between 0.01 and 0.02. 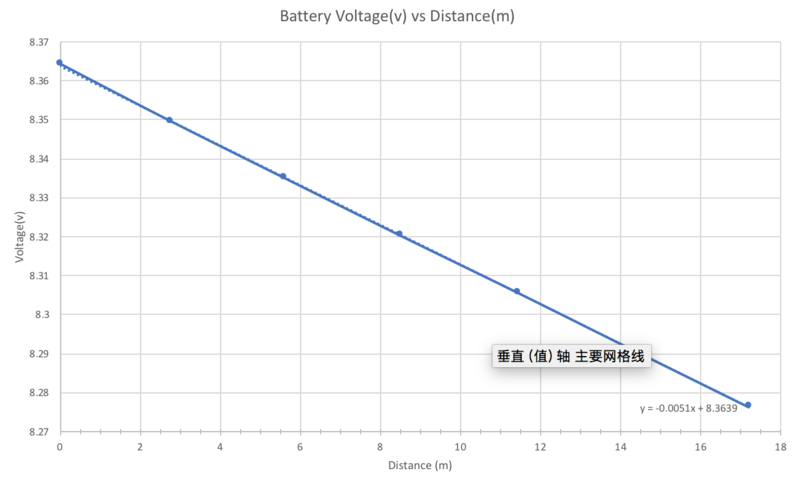 For the second battery, the start voltage was 8.3496, end voltage was 8.291, and the change between trials was between 0.01 and 0.02 like the first battery. The independent variable in the trials was the number of test runs that the AEV was subject to, and the dependent variable was the voltage provided by the battery. The main error in the experiment was during the first battery trials, the AEV stopped during one of the tests due to zip-tie interference on the rail. This caused a different starting voltage than ending voltage between the first and second trials, so the overall change in voltage from the battery is slightly less than the recorded value. Based on this data, several conclusions can be made about the effect of battery efficiency on the AEV’s performance. As one would expect, the more trials that are run, the less power the battery can give to the vehicle due to a decreased amount of voltage. However, the drop in voltage only becomes significant after several trials, so if the AEV is used only a few times before final testing on that day, the vehicle should still perform as expected. The next step for our division is to begin testing the battery on the sloped track while also picking up the caboose on the track. All of our trials for the initial tests were taken on the straight test track, so it will be important for us to make comparisons as to how the battery loses voltage when more variables are added in. Our division is also planning to implement a new motorized wheel design, so the energy consumption and necessary battery voltage will also need to be determined for that unique design. In the future we are expecting to make a complete battery exhaustion test, which is to run AEV a full track distance each run and repeat until the AEV can no longer function normally. We’ll also compare the data collected on propeller design with the motorizing wheel design in terms of battery life , track friction, and overall efficiency.